If your pet is having difficulty walking, finding a treatment solution can be a concern. Lameness & limping is best handled by calling Tierrasanta Veterinary Hospital in San Diego, CA, to make an appointment with our veterinarian to evaluate the situation. Here is some information about lameness & limping in pets to look over so you know the steps to take for your dog or cat to receive the treatment they need. Lameness & limping is usually noticed when a pet avoids putting pressure upon one or more of its legs. The animal may be seen holding their paw up instead of walking on the bottom portion of it, as well. The problem could occur in any portion of the leg, including the bones, muscles, joints, ligaments, or tendons. Lameness & limping could also be caused by pain in the neck or back, which affects the nerves that run toward the legs. There are many reasons why a dog or cat may start limping. 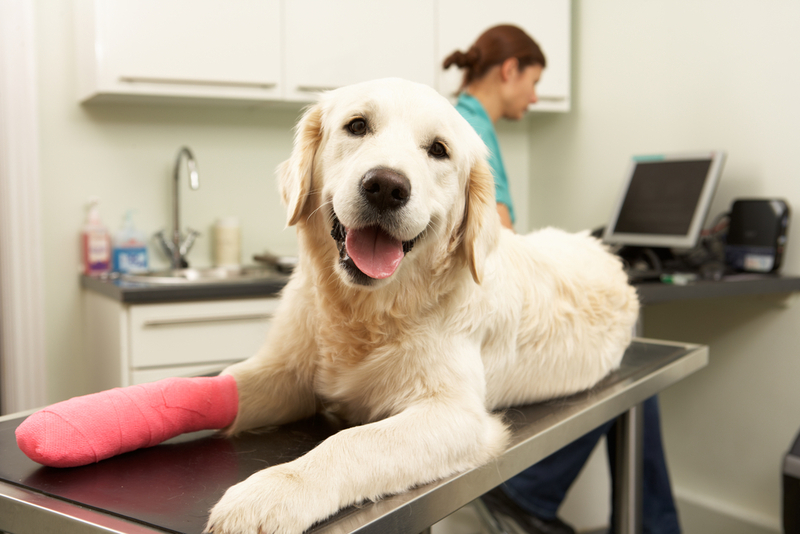 If your pet suffered from a fracture or dislocation, the affected leg will be extremely painful, leading to limping. A cut could be present on the affected leg or the paw area. A splinter, pebble, or another item could be lodged between your pet's paws or be present within the bottom pad of a foot. Arthritis, bee stings, snake bites, hip dysplasia, and muscular or nerve problems could also cause lameness & limping to occur. Our veterinarian will assess your pet's medical condition and treat the problem as needed. Our vet will take care of any cuts present on a leg or foot, recommend dietary restriction if excessive weight is the cause of the problem, teach you exercises and stretches your pet can do to heal the affected area, or, in severe cases, conduct surgery. If your pet is showing signs of lameness & limping, give Tierrasanta Veterinary Hospital in San Diego, CA, a call. Contact our veterinarian today at 858-292-6116.